This year (2019), the Huffines Institute is officially 16 years old! 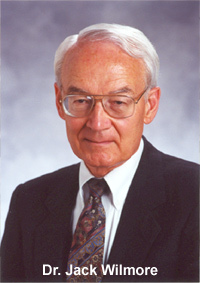 But the efforts that led to the creation of the Institute in 2003, actually began in 1999 when Dr. Jack Wilmore and several faculty members at Texas A&M University began to meet with the intention of connecting the science and practice of sports medicine and human performance more closely. This original effort made such an impression that in 2003, JL and Sydney Huffines, due to their life-long support of exercise and health, became the original naming benefactors of the Institute. Dr. Steve Crouse took over as Interim Director at that time and capably stewarded the Institute until 2010 when Dr. Tim Lightfoot became the Director of the Institute. In 2012, the Huffines Institute founded the Texas A&M Coaching Academy which is now an independent entity led by A&M athletic legend Dr. John Thornton. In 2017, Debbie and Mike (’73) Hilliard made a substantial financial gift that will allow the Institute to continue to grow, expand our educational support efforts, as well as supporting our athletic testing objective. We invite you to join our community that is dedicated to investigating, applying, and engaging in a dialog about sports medicine and human performance. We invite you to join this dialog by participating as much or as little as you want. You can easily listen or watch any of our podcasts and use our exclusive content. But we hope you won’t stop there. Connect to us through our blogs, or Twitter to stay up with the daily happenings at the Huffines Institute. Better yet, join us as a member and get access to grant programs, travel resources, and early access to events, speakers, and new content. We are working to make access to Sports Medicine and Human Performance easy for you and the World. » Learn more about the Huffines staff and Volunteers. » Learn more about the Huffines Internal Advisory Board.